A friend asked me to work on this drink for him about a year ago. A few miserable failed attempts and I put it in the too hard pile. Just last week, I dreamt about it, so I had another go. This is the result. We wanted a clear or lightly coloured drink for this glass to show it off properly. Tip: the three antique shops near Mojo’s/Harvest/Mrs Brown’s in Fremantle are amazing! Nice one. 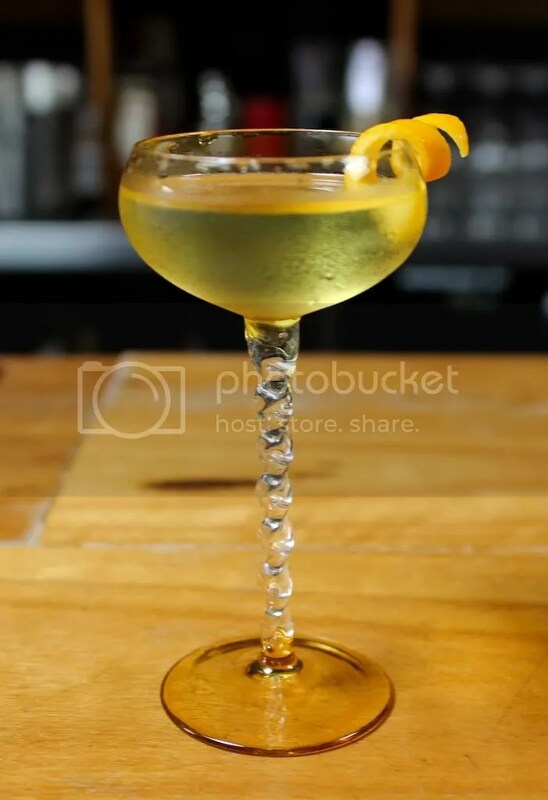 the pegu club is pretty famous for doing a white negroni, which I think has Suze in it.